Hello Friends! 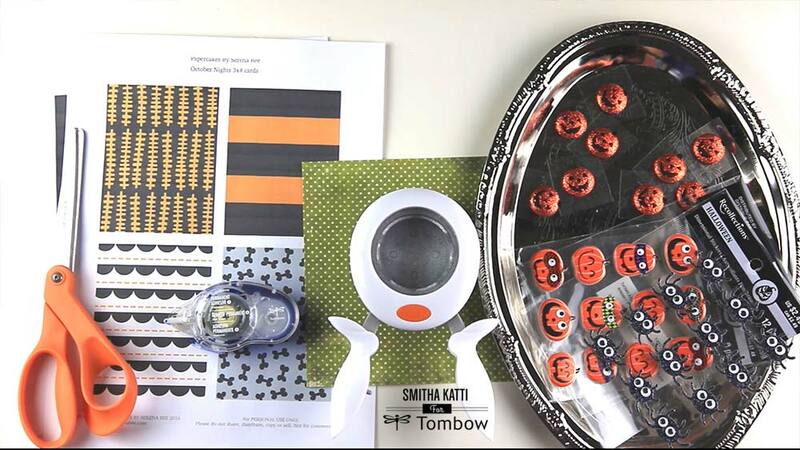 It’s Smitha here sharing a cute and easy Halloween treat bag using the new Paper Cakes digital collections. It’s pumpkin season after all and to make these paper pumpkins, I used a circle punch and the Mono Adhesive + Permanent in my paper crafting today. The Mono adhesive is a great choice for this because it is SO easy apply. I used all papers from the new Paper Cakes Collection called October Nights Collection. I love the colorful patterns and designs this collection has! 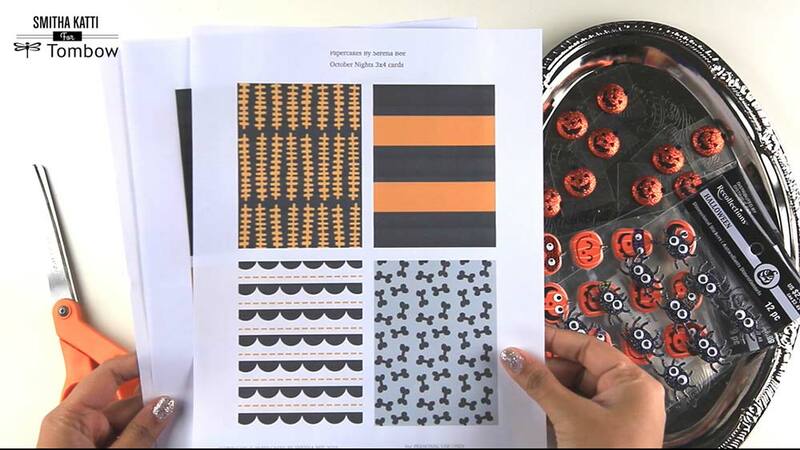 For this project, I printed these designs onto regular typing paper, so that it would be easy for the kids to tear open once the project was completed. 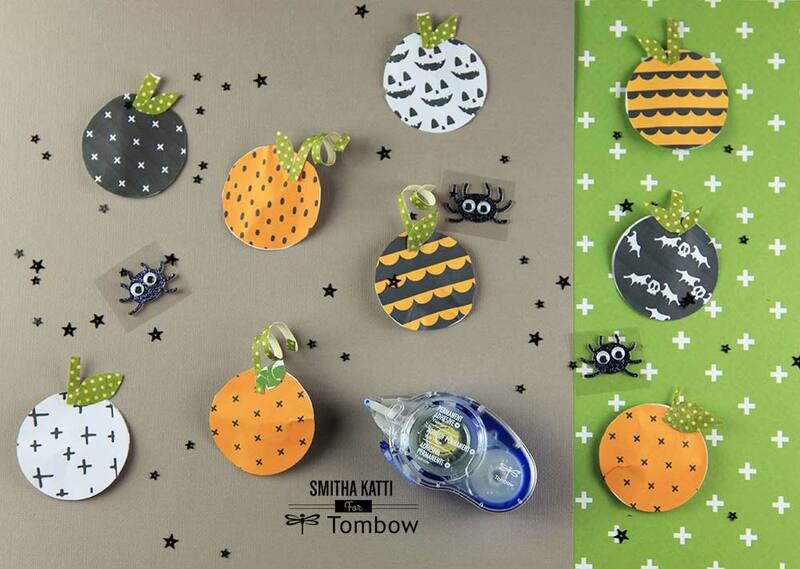 To make these paper pumpkins there are just 3 simple steps- Punch or cut out circles from patterned papers. 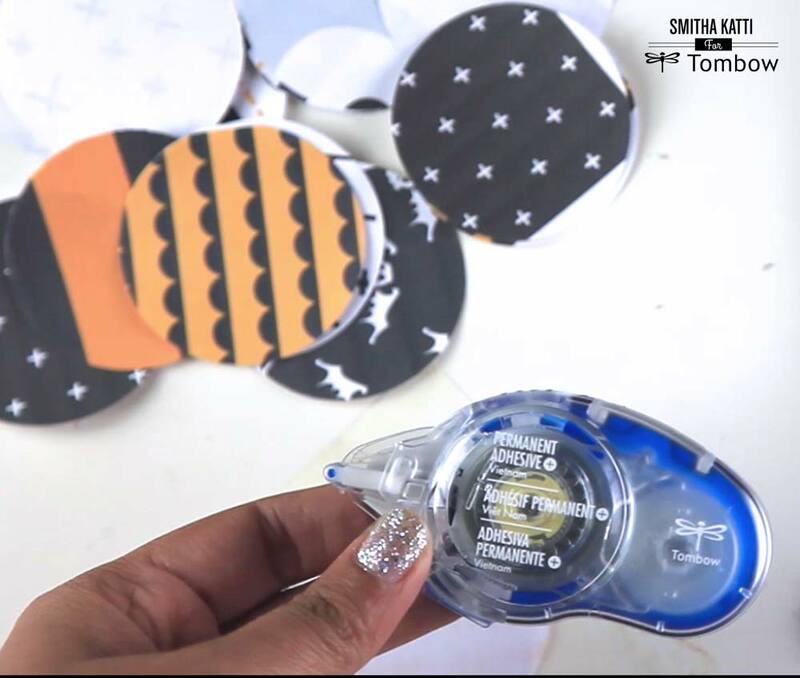 Next, apply Mono Adhesive + Permanent adhesive around the edge of one circle, place treat and adhere another circle on top. Finish off the pumpkin with a leaf and stem. You can see all of these steps in action in the video mentioned above. Instagram! You can also use the coupon code tombow10 to get 10% off your digital downloads.